The Emmy award winning television show “Monk” features a fish tank on one of its episodes. The tank appears to be clean and well kept, with one healthy looking fish in it. “Monk” is a great comedy/detective show on the USA channel. Monk is the main character and is the detective who has to conquer his many phobias to solve crimes with his genius level mind. There is a lot of comedy that ensues along the way. He’s a kind of Columbo/ Sherlock Holmes - if those two were afraid of almost everything! He does not seem to be afraid of fish, though, since there is a beautiful fish tank featured in one of the episodes. This episode from season 6 is entitled “Mr. Monk Stays Up All Night”. In this episode, Detective Monk can’t sleep, so he takes a walk and ends up in a bar staring at the aquarium behind the bar. Mr. Monk is told that watching the single fish in the tank swim around and around will help him feel drowsy so he can get to sleep. There is some truth to this since it has been scientifically proven that watching fish in an aquarium is very soothing and calming. It is good for relaxing us and putting us in a restful state of mind. The beautiful fish tank in this episode looks to be maybe a 10-gallon tank with a single, healthy looking goldfish in it. This is the recommended size aquarium for one goldfish. 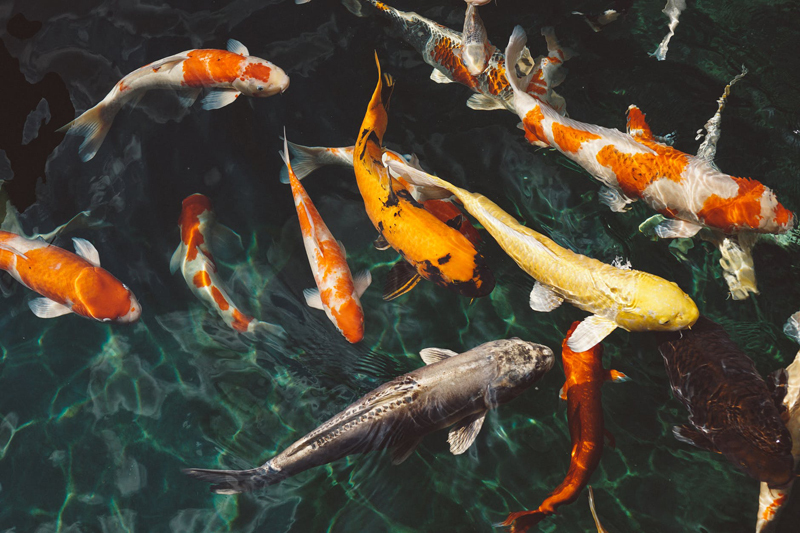 You need at least 10 gallons of water for each goldfish since they are high ammonia producers and it is the only reasonable way to keep the water clean enough to keep your goldfish healthy. The aquarium in this episode of “Monk” is fully equipped with a water filtration system to clean the water and with a bubbler to help oxygenate the water for the resident goldfish and create a beautiful and interesting effect for Monk and the rest of us t.v. viewers and also for the most important viewer - the goldfish! The Monk aquarium also has fabulous live plants that help complete the natural look of this A+ goldfish aquarium!